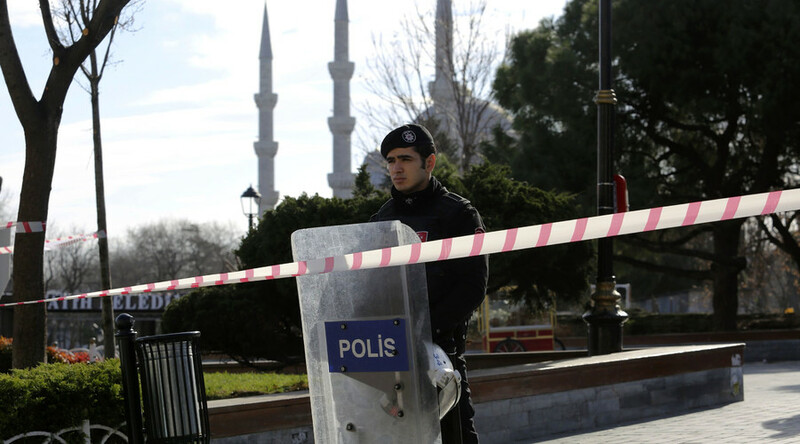 The security situation in Turkey is likely to hurt the tourism industry. 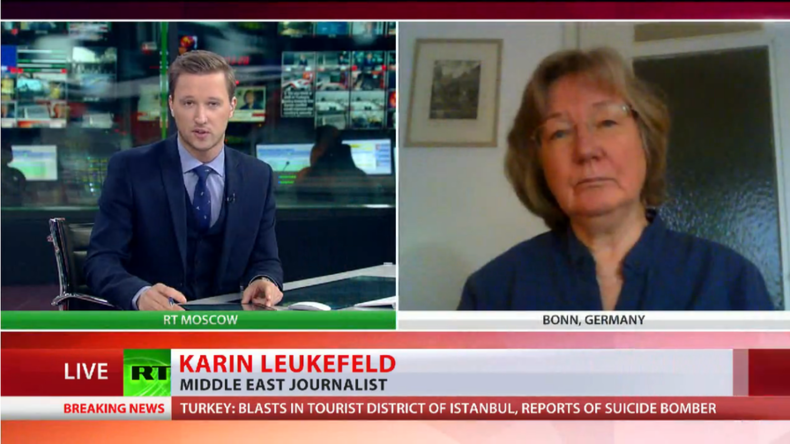 It will have an impact on the credibility of Turkish policy, says Karin Leukefeld journalist who writes about the Middle East. Karin Leukefeld says a shift in Turkey's policy towards the Syrian conflict could improve the country's security situation. Turkey is one of the favorite tourist destinations for Europeans, particularly Germans, Leukefeld says. According to the journalist, last year 41 million tourists visited Turkey, which gets “€2.3 billion from the tourist industry,” and was planning to increase it. However, given the political situation, it’s likely that the opposite will happen, “it will collapse and go down,” Leukefeld said. “We had these attacks in the south of Turkey, we have the war in the east of Turkey against the Kurdish people, we had big explosions in Ankara back in October. So, we can see that these explosions are moving towards the West, towards Europe. Definitely, the tourism industry will be hit by this explosion and it will have an impact on the credibility of Turkish policy,” she said. 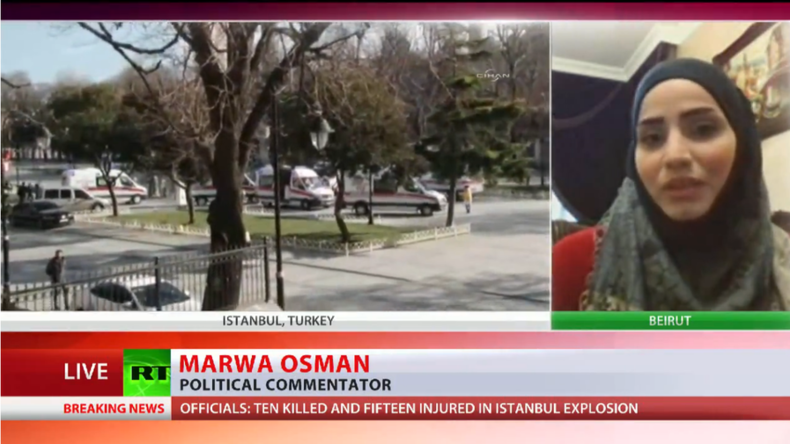 The tourism industry was indeed heavily impacted when relations between Turkey and Russia were cut due to the incident with the downing of a Russian jet by Turkey, says political commentator, Marwa Osman. That was a very heavy hit on the tourism sector of Turkey. And now such attacks - it is very terrifying and tragic, she adds. RT: Turkish authorities say terrorists may be behind the explosion. Do you think ISIS could have staged the attack? RT: Authorities reportedly have a media ban in place which aims to stop reporting about suicide bombings. What do you read into that? MO: Turkey has the highest number of journalists being detained in prison without going to trial. This is also not a secret. Turkey has a “no-no” on free speech. And tell people to stop reporting about it – this would be hypocritical and very dangerous. Because people need to know, they need to be taking precautions about how and where to go especially in a huge city like Istanbul, and in huge country like Turkey. I mean, Ankara was hit, now Istanbul was hit and we haven’t still seen anything from the investigations from Ankara – the government has not said who is behind it, they didn’t pinpointed anyone, they didn’t catch anyone. And we are talking about one hundred people dead in Ankara. Now the numbers are rising and we have international tourists as well in these numbers. So, we are going to have to see some states standing behind their citizens and saying: “Hey, wait a second. We need to know about this. You cannot stop reporting about this. If you want European people not to hear a word about this, we need to explain for our citizens what went on and how did they lose their family members in such an explosion.” So such a thing made by the Erdogan government is typical. He suffocated all journalists: they did lock up a journalist who brought evidence about ISIS having direct relations with the government of Erdogan. So, that’s one. What about reporting the attacks like these? I am sure Erdogan would do his best to try and stop or limit the reporting about these events. But he will not be able to do this – here we are talking about citizens of other states being killed in such attacks.